Bringing the authentic taste of the streets of New York City to your event! 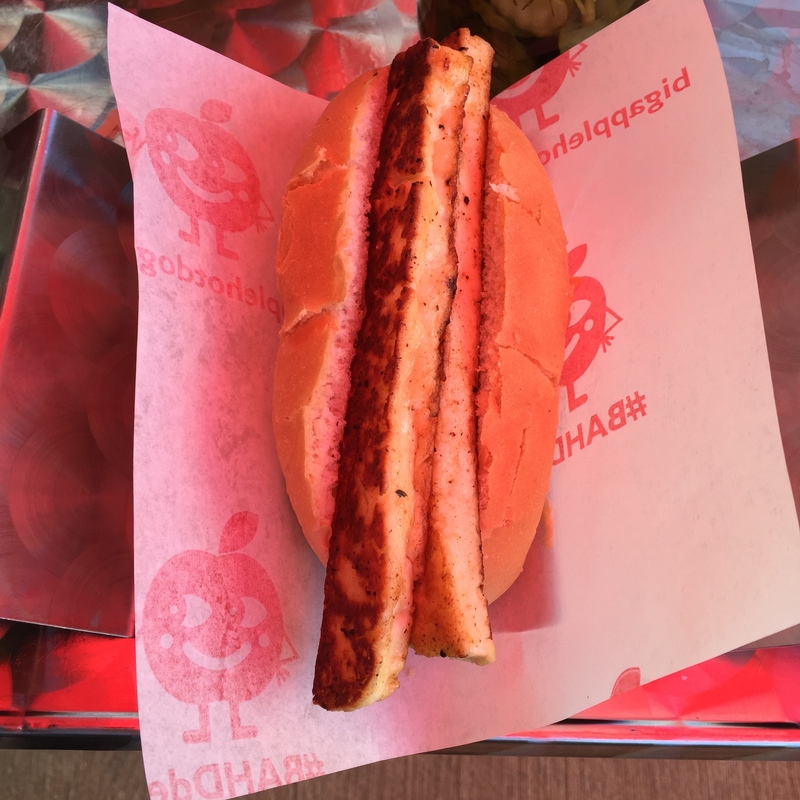 Big Apple cook up outrageously delicious dogs using only high quality, local ingredients and proper meat, with absolutely no gluten or bulking agents - you’ll get none of the nasty bits you might find in other sausages. 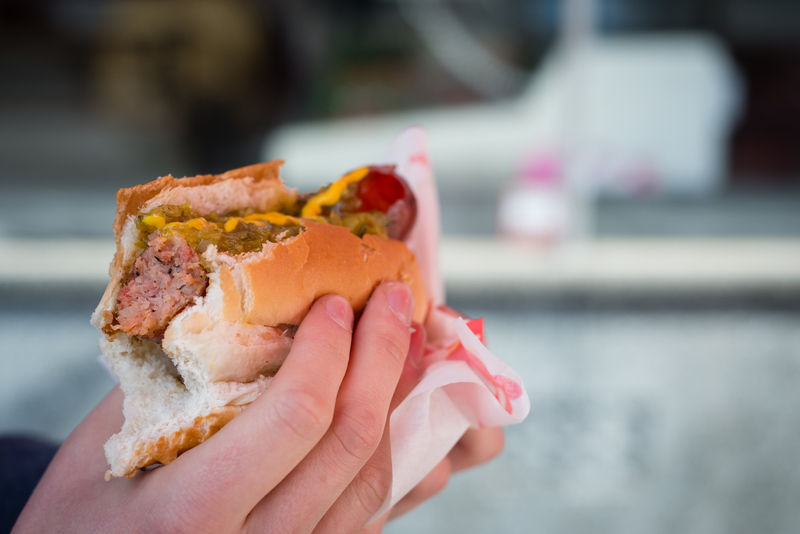 They use free-range pork, prime beef, and their pillowy buns come fresh from a local family bakery. 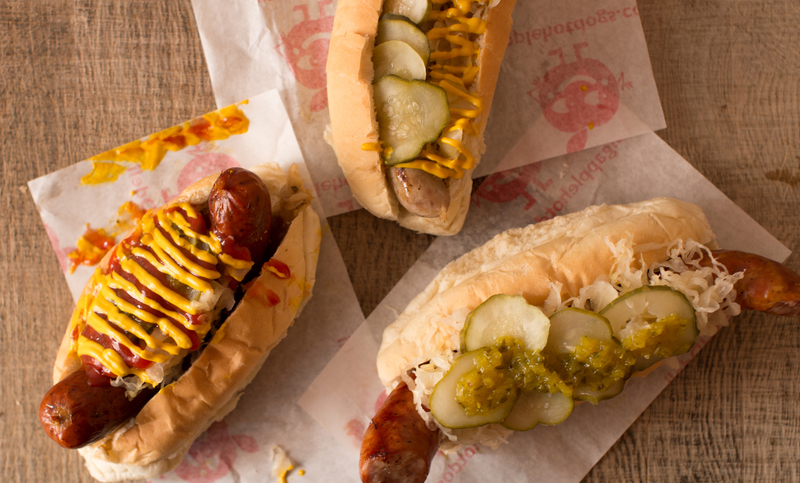 Top it all off with Desiree onions, pickles, krauts and relishes and after one chomp you’ll see why Big Apple been booked from as far afield as Dubai! Their wheel sausage machines are fun and perfect for indoor events of any size. Their set-up can be very compact so they are able to squeeze in to small spaces. Giles Coren has called the dogs ‘the best in Britain – no question”, they’ve catered for Tom Cruise, Lily Allen and Kelly Brooke in the past and their wholesale customers include Heston Blumenthal, Russell Norman and Soho House. These really, really are the top dogs! 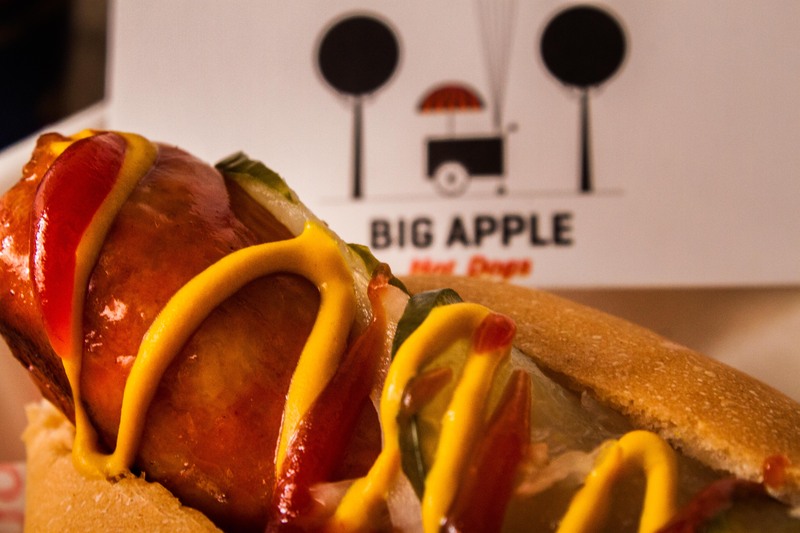 Getting Big Apple’s Food Cart to cater your event guarantees delicious dogs, incredibly speedy service and staff who literally just cannot stop smiling.